ON November 12 this year, the world football governing body, Fifa disbanded executive committees running the football associations of Madagascar and the Dominican Republic. In their stead, Fifa appointed "normalisation committees" to run the affairs of football in those countries and set them on the path to sound football management. In Madagascar, the decision to appoint a normalisation committee came in relation to the electoral process of the Malagasy Football Federation, which was not carried out in accordance with the regulatory requirements applicable to the members of Fifa, the organisation said of its drastic and rather unusual action. One can make a case of why Zimbabwe needs a "normalisation" committee to bring sanity to the local football shores. But for Fifa's rather strong dislike of "government interference" in the work of football associations, there is no doubt that the Zimbabwe Football Association (Zifa) would have been dissolved several times over, given the unpalatable practices that pass for governance at Zifa House. The latest charade is the pretence that it would hold elections on Friday, December 1, at Zifa Village in Mount Hampden. Outgoing president Philip Chiyangwa and his deputy, Omega Sibanda, have done everything possible to avoid being challenged; from raising registration fees Nicodemusly and at the last minute - from $1 000 to $10 000; to demanding that any candidate gets clearance from his reported cronies at the country's anti-corruption commission and then the old bystander - suspending their opponents. 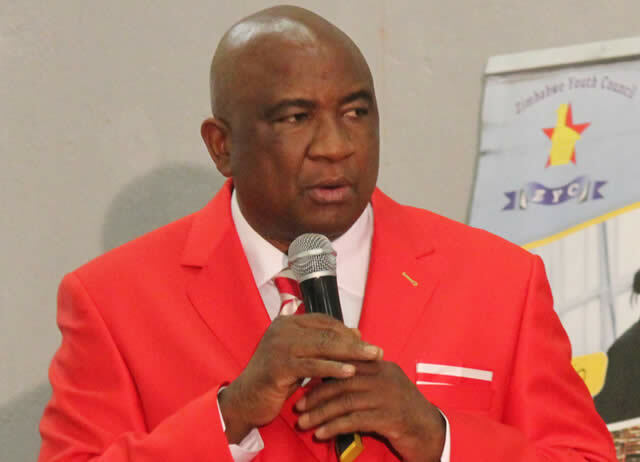 Zifa even raised the appeals fees to $10 000 up from the $3 000, which was set at the annual general meeting in February – just anything to disenfranchise the challengers and avoid facing a credible challenge. As we have noted before, Zimbabwean football under Chiyangwa is in a mess; without a grassroots programme and infrastructure crumbling. It suffers from a chronic lack of sponsorship, which has left many clubs struggling to stay afloat and players poorly remunerated. The only clubs that seem to perform well, with better players and facilities, are those that are owned by companies that are doing well. Zimbabwe's national teams have relied on the largesse of the well-heeled local businessmen to even make it to camp, struggle to travel for games, and often, players go without allowances or decent accommodation. The women's game is in a sorry state. So Felton Kamambo and Gift Banda, who have taken their battle to Fifa, have to wait to see if the wheels of that archaic organisation will turn fast enough to provide them some relief. Otherwise, their last remaining hope is the courts. No doubt, that will attract the ire of Fifa, but in this case, the world mother body will be entirely to blame by allowing some gangsters masquerading as football administrators to hold the nation at ransom to satisfy personal greed.